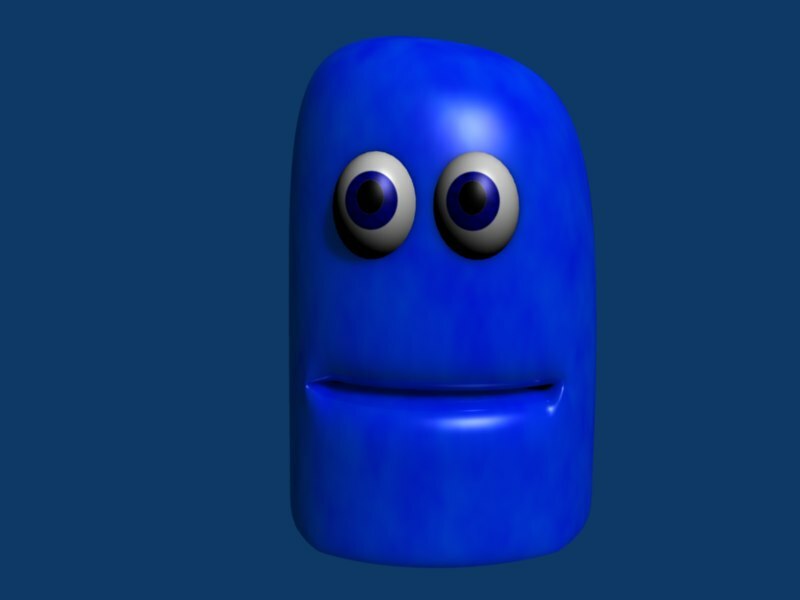 I modlled him over the weekind and I am useing a latice for animation what do you all think. I will post animation as soon as I figer it out. PS. this is myy first complete animatible charicter. look, i made a 3d finger puppet. ah the thimble things in life. yea I probably should change his eye color.